The History of the Tower of London is both bloody and cruel. The original purpose of the Tower of London was to act as a royal power base in the City of London, overawing and frightening the indigenous population of London and providing a safe retreat for the Royal family in times of civil disorder. The function of the Tower changed over the years and it became a prison housing some very important state prisoners and as a place of trials, execution and torture. The very mention of the Tower of London could strike terror into the hearts and the very bones of powerful people in England. Both men and women are included in the list of hapless victims and prisoners of the torturers and executioners of the Tower of London. 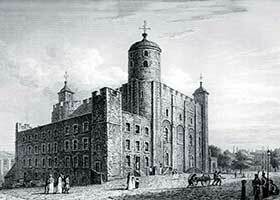 The incarceration of Tower of London prisoners spanned over a period of nearly one thousand years. There history explains why the Tower of London could strike terror into the hearts and the very bones of powerful people in England.